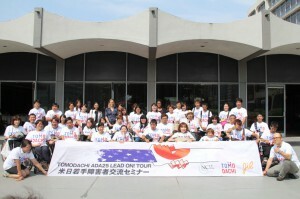 From July 22 to August 5, 2015, twenty four young Japanese leaders with disabilities from all over Japan joined the ADA25 Celebration in Washington, D.C. organized by National Council on Independent Living (NCIL). July 26, 2015 marks the 25th anniversary of the Americans with Disabilities Act (ADA), which is the first anti-discrimination law against people with disabilities in the world. As emerging leaders from the United States and Japan to came together, participants had a great opportunity to share what they have learned in their countries and to further develop visions and strategies as International Human Rights Leaders. The participants split up into two groups — one group visited Berkeley, California and the other visited Chicago, Illinois — prior to and after the joint tour in Washington, D.C. During the ADA25 Celebration in Washington, D.C., the participants had the chance to meet Ms. Marca Bristo, the chairperson of Access Living from NCIL. They also attended a reception at the Kennedy Center, where the participants interacted with many leaders in the disability field such as Mrs. Yoshiko Dart, whose husband Justin Dart, is known to be the “Father of ADA”. 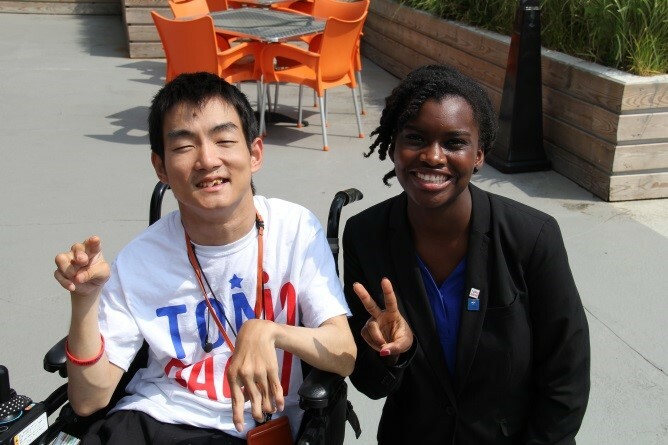 The International Youth Seminar on Independent Living at NCIL 2015 Annual Conference was an exciting experience for the participants because they were able to learn about implementing and monitoring of the ADA from both government agencies and disability organizations. Many of the Japanese delegates were anxious prior to the program, but the anxiety dissipated as they were exposed to this stimulating environment, and their powerful experience motivated them to become leaders in their communities in Japan.